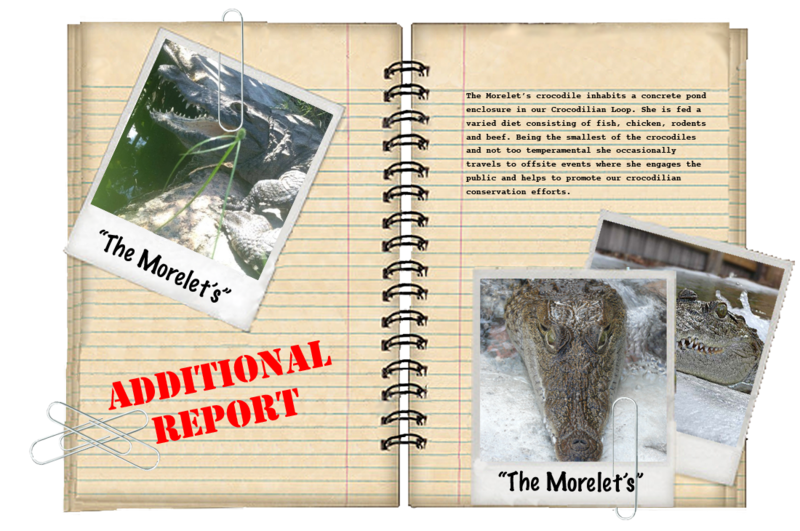 This small but fiesty crocodile does not have a name but it known as “The Morelet’s”. She came from out of state and has been with the facility since 2005. For the most part she is more laid back as far as crocodiles go but just like anyone she can have her moments. 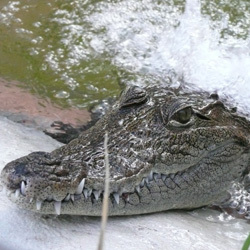 Although she can be relaxed around humans at times she is not so pleasant towards other crocodilians. 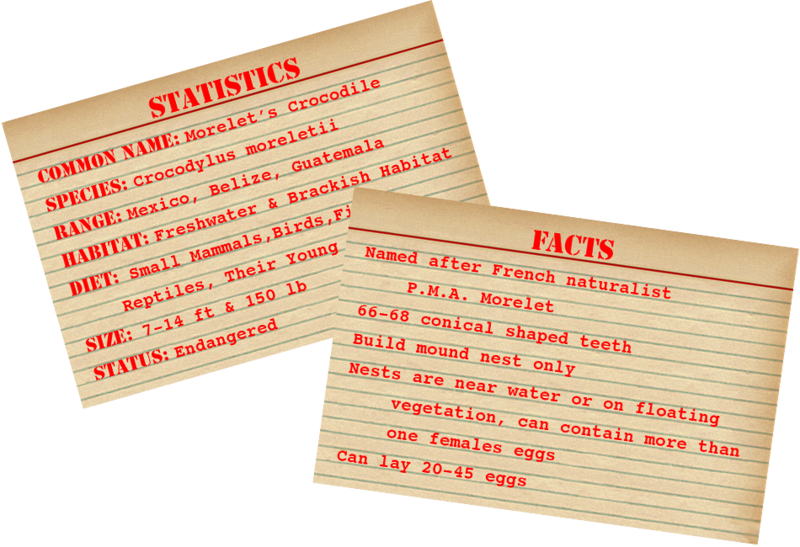 She can be quite the aggressor and has even been known to scare off alligators twice her size. She measures around five feet in length, but don’t let her size fool you; when she means trouble, she means TROUBLE!